The Fire Brigade and Firemen visited our school last Thursday. No, we did not have a fire. We were allowed use the water hoses and spray the water. 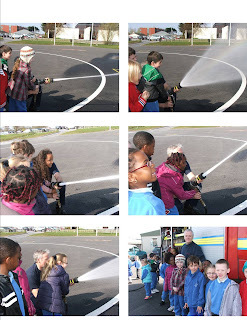 We were also allowed up into the cab of the fire brigade and look at what was in there. 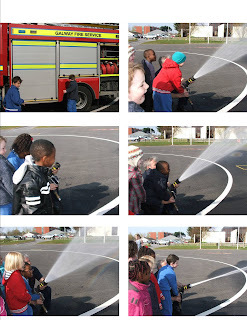 The firemen work to protect us.